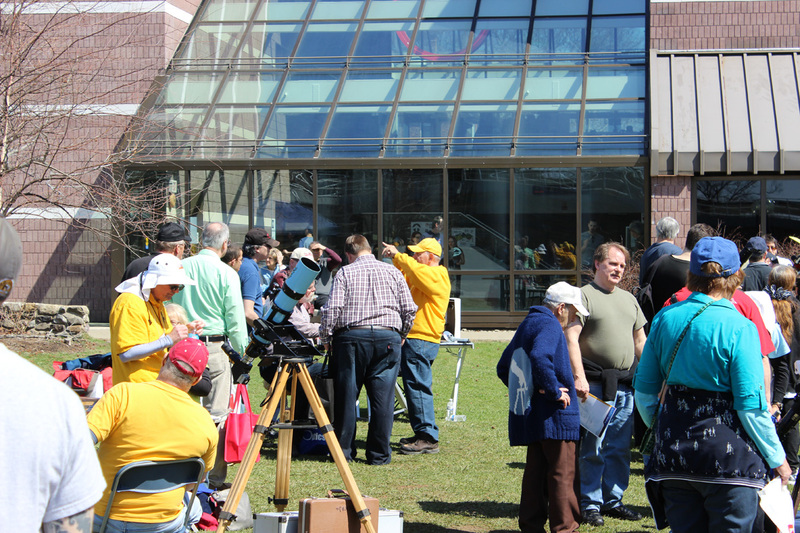 Barlow Bob’s Corner – Ophiuchus, By Mary Lou West, Ph.D. The following article has been forwarded along by Barlow Bob, founder & organizer of the NEAF Solar Star Party and regional event host & lecturer on all things involving solar spectroscopy. 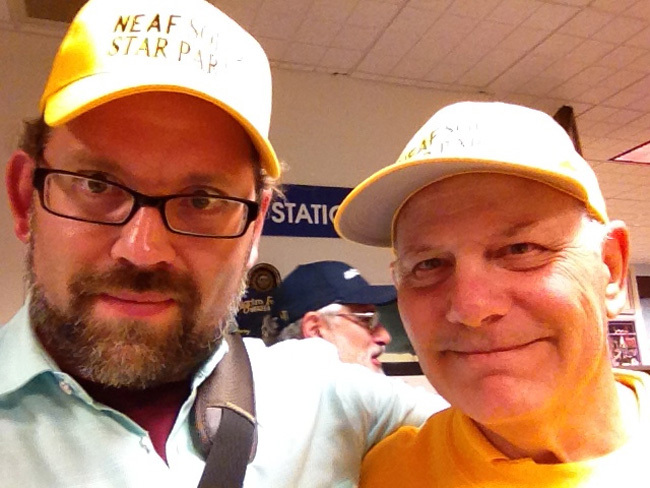 You can read more about Barlow Bob and see some of his other articles at www.neafsolar.com/barlowbob.html. Poster’s Note: I can only imagine that there are outdoor statues all over the world reaching back to antiquity that reveal something astronomical only once a year – and no one knows that this is their purpose. This article describes a modern reminder nearly in our own backyard. This story initially appeared in the Fall 2011 Montclair State University College of Science and Mathematics newsletter. 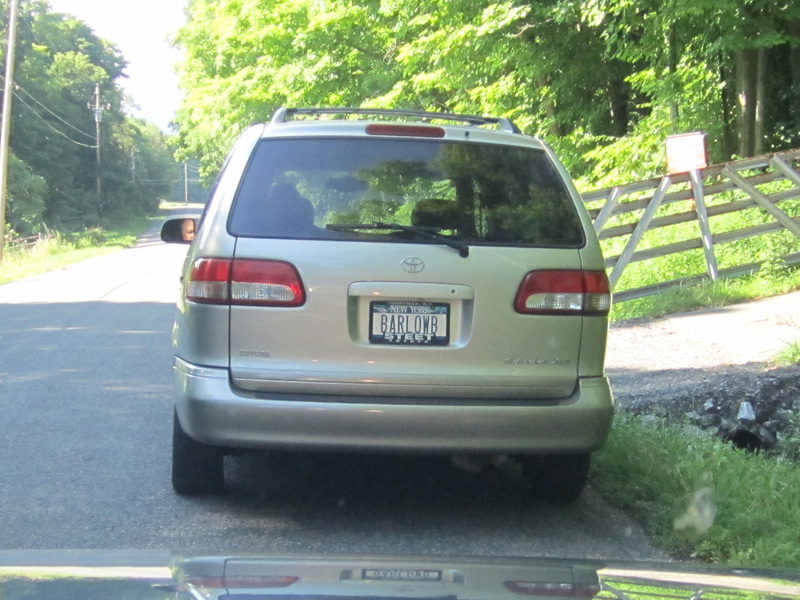 And apologies for the image graininess (exported out of Microsoft Word). Ophiuchus, the Serpent carrier is an ancient myth from the Middle East, a constellation in the summer sky, and a sculpture on the Montclair State University campus in Montclair, NJ. But how many times have you bypassed it on your way to and from the library or College Hall and wondered what it might be, other than an abstract metal sculpture? The sculpture, the story of a young man’s victory over “the snake of all knowledge,” consists of a concrete disk, an iron tripod, and aluminum artwork. 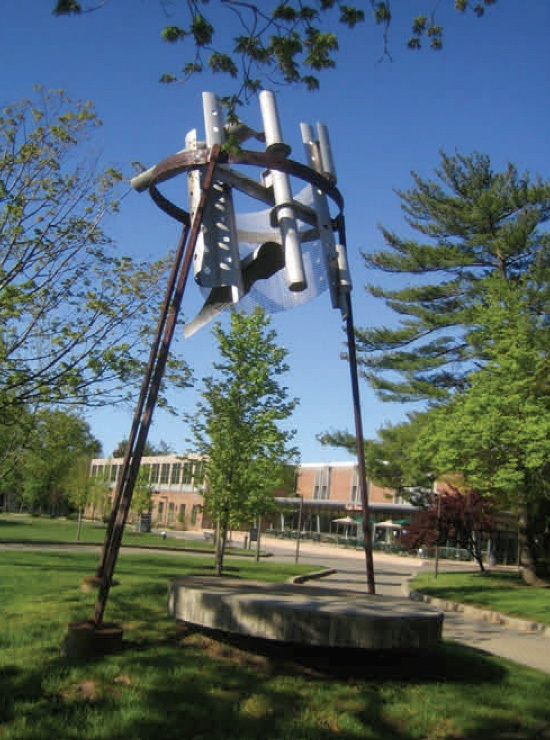 It was designed in 1988 by Mac Adams and Montclair State University professor of sculpture. This victor changed his name to “Ophiuchus” (snake carrier in Greek) because he then carried the snake wrapped around his walking stick as he traveled from village to village learning the methods of medicine from the snake. The caduceus has become the emblem of physicians and veterinarians since that time. But it is also more than just a metal sculpture. At true noon on May 24, 2011, as its shadow is centered on the disk, we were able to see a figure with his hand around a writhing snake’s throat. At other times of the day or year when the shadow is not centered, it is not recognizable, except for July 17 when the sun is at the same declination as on May 24. We chose May 24 because it was graduation day, when college seniors are celebrating their personal victories over the snake of all knowledge. The alignment calculations and surveying were done by Mary Lou West, and should hold for hundreds of years. Ophiuchus is also the (small) thirteenth constellation of the Zodiac. An entirely-Ophiuchus-like shadow made from the sculpture, visible on May 24th and July 17th each year (for the next few hundred years, anyway). 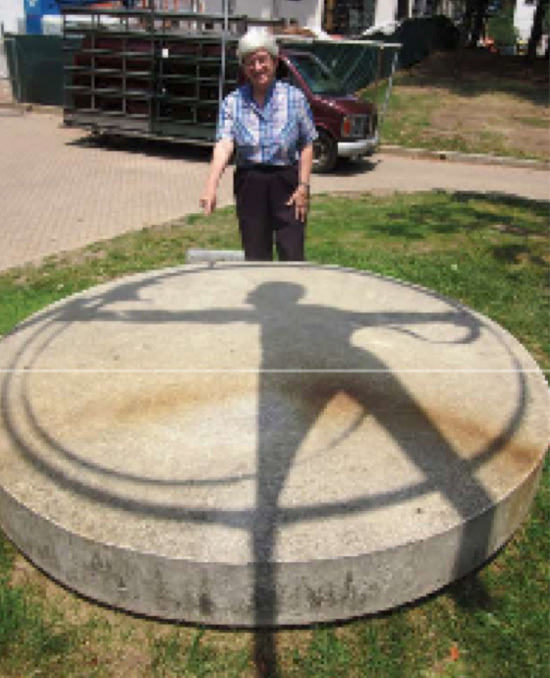 If you are in Montclair, New Jersey on either May 24th or July 17th, Please consider visiting this Ophiuchus sculpture at the Montclair State University campus. 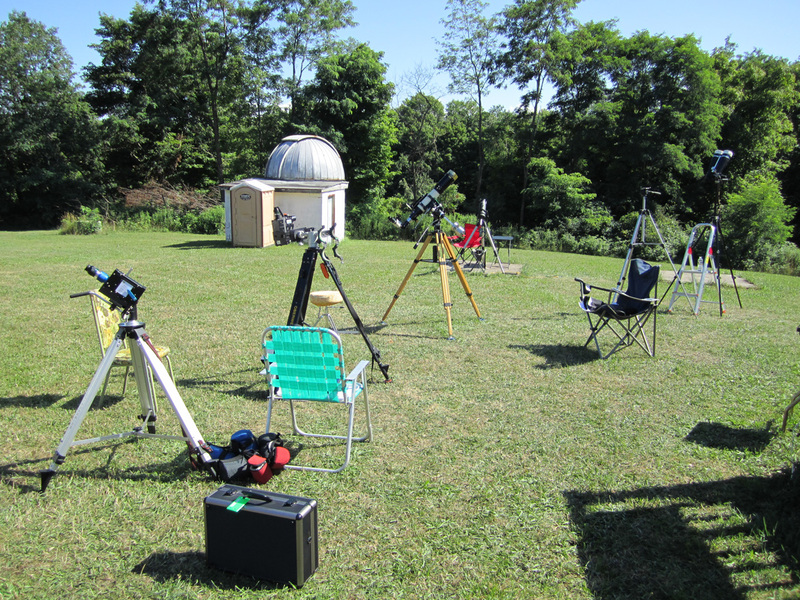 The following article has been provided by Barlow Bob, founder & organizer of the NEAF Solar Star Party and regional event host & lecturer on all things involving solar spectroscopy. You can read more about Barlow Bob and see some of his other articles at www.neafsolar.com/barlowbob.html. 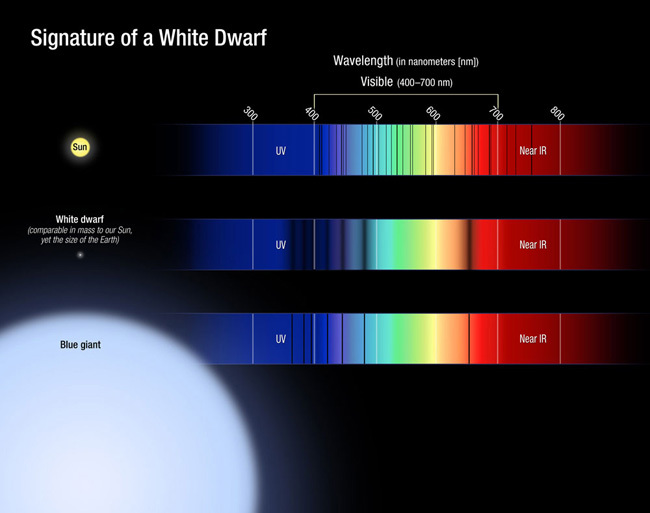 The spectrum of the Sun, a white dwarf, and blue giant. Image taken from: pasthorizonspr.com. In 1885, Balmer published a paper in which his successful formulation was communicated to the scientific world. Balmer showed that the four wavelengths could be obtained with the formula that bears his name: wavelength = B x (m^2)/(m^2-n^2), with B = 3645.6 Angströms. He had found a simple mathematical formula that expressed a law by which the hydrogen wavelengths could be represented with striking precision. He further suggested that there might be additional lines in the hydrogen spectrum. Other spectral lines with their own wavelengths were predicted by Balmer and later found by other scientists. Angström measured the wavelengths of the spectral lines of hydrogen, but Balmer showed that the wavelengths of the spectral lines are not arbitrary. The values of the wavelengths are the expression of a single mathematical formula – and this Balmer Series equation altered how scientists thought about spectral lines. Before Balmer published his results, scientists drew an analogy between spectral lines and musical harmonies. They assumed that there were simple harmonic ratios between the frequencies of spectral lines. After Balmer’s work, all scientists recognized that spectral wavelengths could be represented by simple numerical relationships.